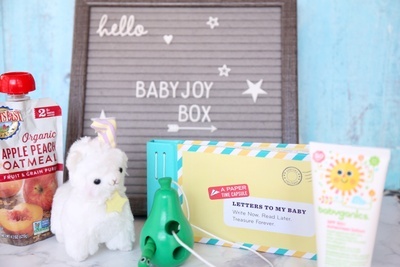 Enter your email address below to receive a notification when BabyJoy Box starts accepting new sign-ups! Enter your email address below to receive a notification when BabyJoy Box is accepting new sign-ups again. We will ship boxes by the 6th of every month, you can expect to receive your box by the 10th of each month. For new customers you will need to sign up by the 30th of the current month to receive your first box by the following month. BabyJoy Box- Bringing smiles to your home! A unique subscription box designed to help parents find the best options for their babies. One of the greatest challenges is finding products, snacks, toys, baby skin care products, etc. that both you and your baby like. Parents waste a lot of money testing products for their babies, most of the time it doesn't work, every baby is unique. BabyJoy Box doesn't have any reviews!